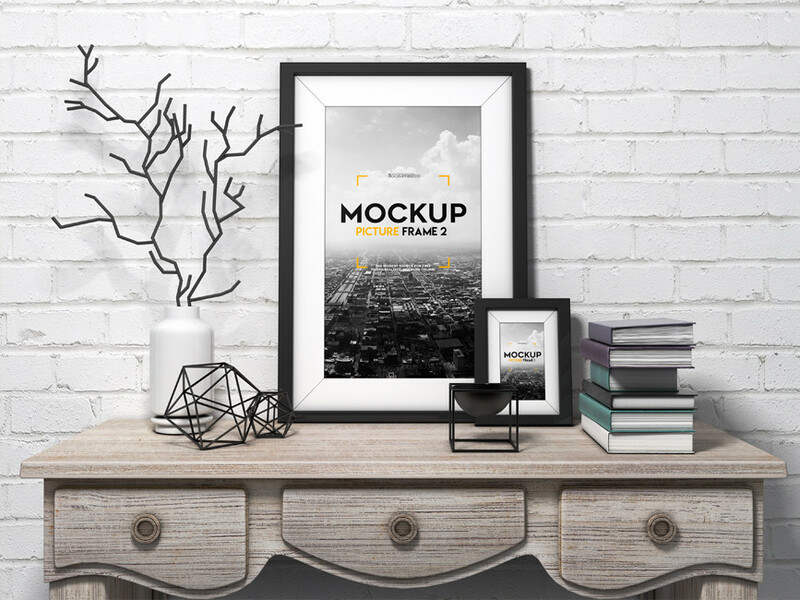 Download Free Picture Frame on Table Mockup. This picture frame is very beautiful and it showing a 2 photo frames with books, decoration elements on a vintage table. This PSD file come with a two smart objects so that you can add artwork quickly and easily. Good work done by MockupFree.